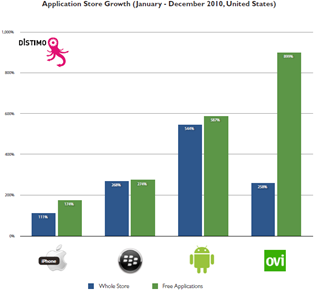 In all 4 stores, free app growth outpaced that of paid apps. 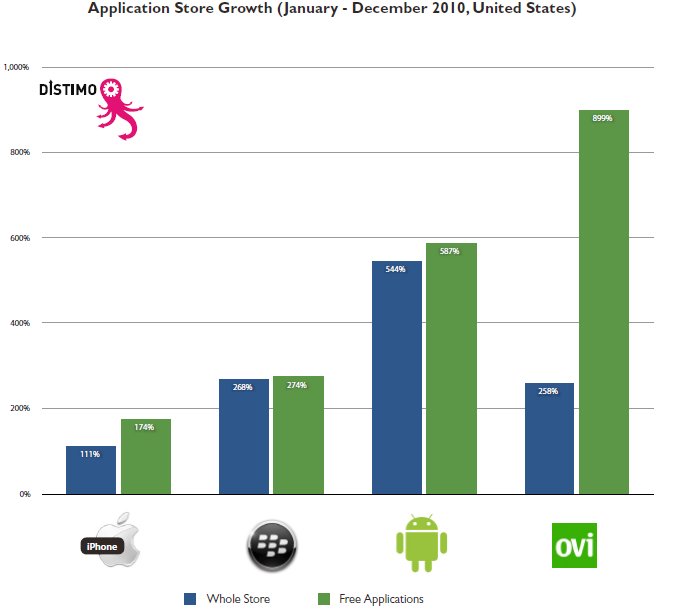 The App Store doubled in size, while the Market experienced nearly six-fold growth. 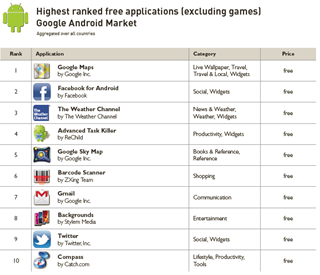 The top 300 free apps in the US averaged over 3 million downloads per day in December, while only 350,000 paid apps were downloaded per day. 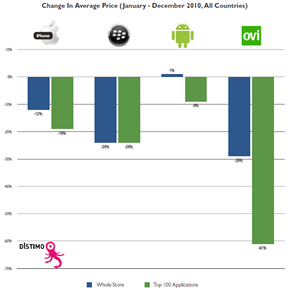 The average app price dropped in all but the Android Market. In the Market, the average paid price increased 1%; however, the average price of the top 100 (Android) apps dropped 9%. 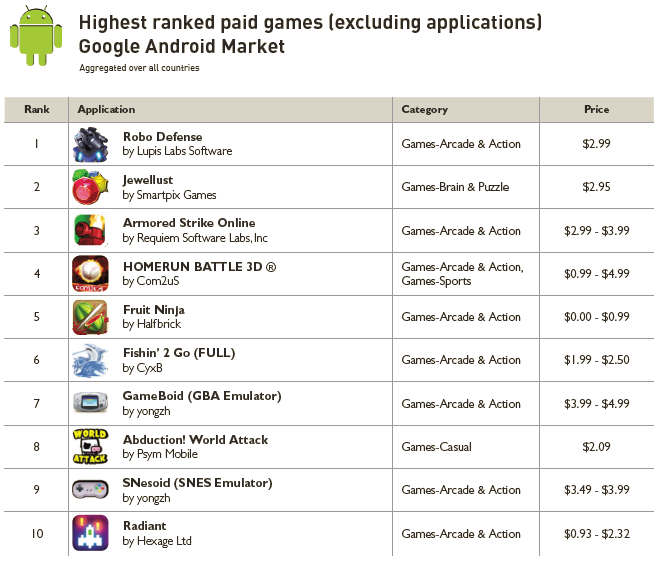 You may remember that a few weeks ago, AndroLib was reporting over 200,000 applications in the Android Market. 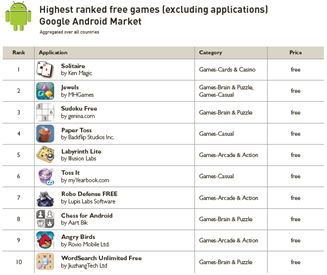 As we've said before (and AndroLib themselves have said), their number is far from accurate. 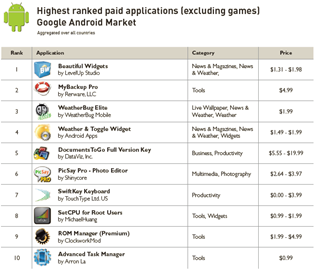 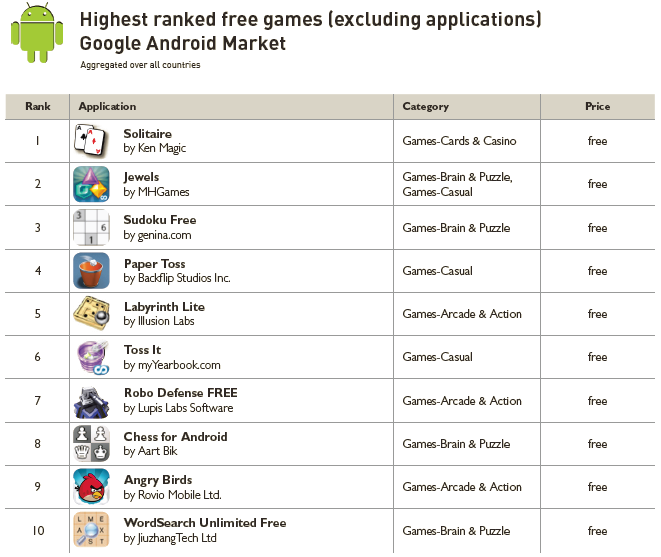 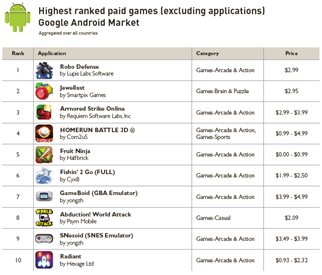 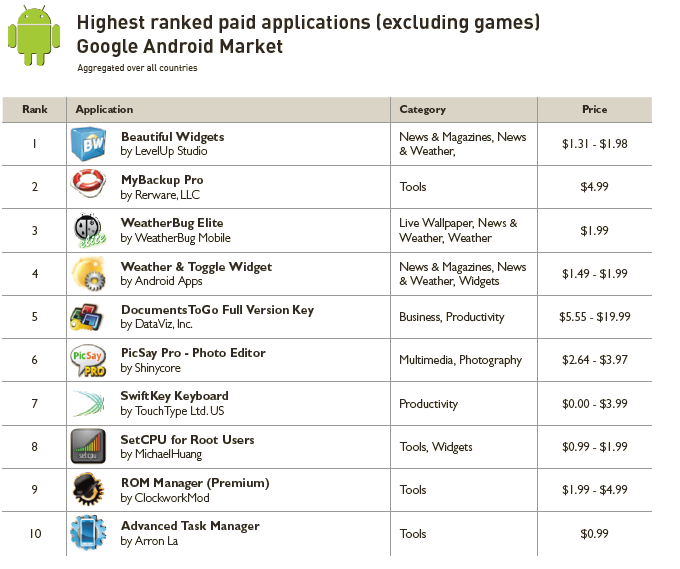 Below are the top paid/free apps/games from the report. 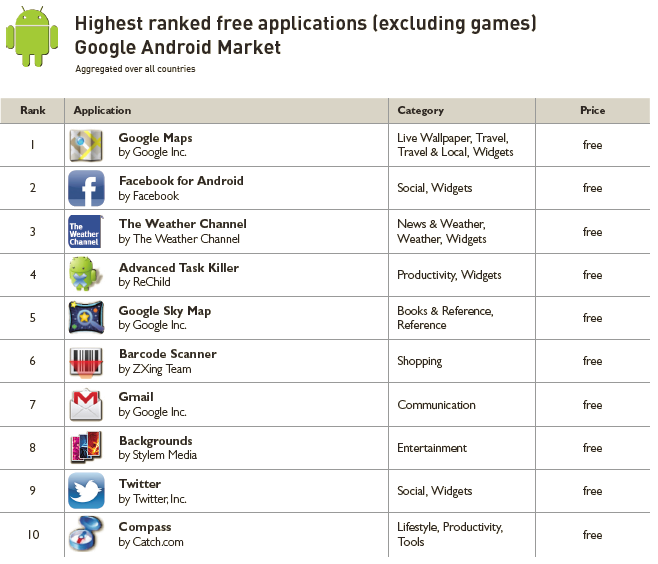 To check out the report for yourself, be sure to hit up the source link (note: email address required).